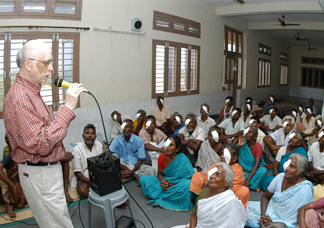 By going to rural and remote areas, the Srikiran Institute works closely with local community leaders and service groups to organize free eye screening clinics. 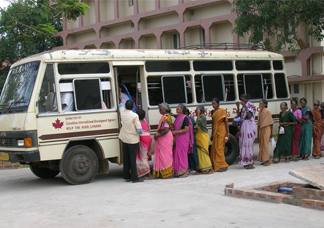 Several hundred patients can be screened in a single day, whereas before they might not have even received care. 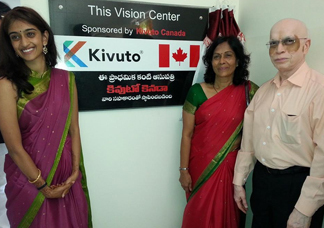 As a result of contributions made by Kivuto Solutions, the Srikiran Institute has established a permanent eye clinic in the village of Juvvalapalem where there was only a temporary eye camp before providing intermittent care. 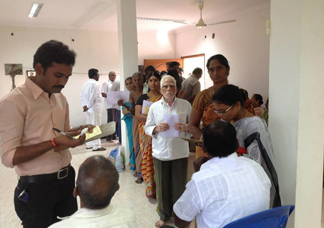 Now individuals living with vision loss in Juvvalapalem and surrounding areas will be able to receive regular eye care.